Tree pruning has many benefits that are able to help keep your trees looking refreshed and healthy. It’s a common practice that helps remove debris and buildup from your trees that may otherwise deter new and health growth. Along with new and healthy growth, pruning trees regularly ensures that any disease, decay, and pests, are easily removed from infesting the tree or lawn further. Tree pruning is different to tree topping, as it is not harmful and only removes deteriorating debris. The process of pollarding is quite simple and includes the trimming and grooming of the branches of your trees to remove any old, dying, or decaying debris such as flowers, leaves, and twigs. After your trees have been adequately pruned, we will assist in cleaning up the debris that has fallen from the trees. This includes branches, twigs, leaves, and other forms of buildup. By removing debris after pruning, we help to deter potential pests from lingering in the old or decaying debris and spreading to the rest of the tree. Once our job has been completed, you wont even notice that we made a mess to begin with, as we always leave our project sites as clean as we found them. While there’s not a definite number of times in which you should prune your trees per year, it should be done at least once or twice between the seasons to ensure that your trees and lawn are prepared for the transitional period into the new season. By keeping an eye on the trees throughout the year, it helps to reduce the potential for infestations that could occur in your trees. Since some trees and their flower types can harbor or attract different kinds of disease or pests, regular pruning helps clear the potential for these infestations to develop further, if they do in fact latch to your trees. The timing of tree pruning is vital to ensuring that the trees are pruned properly. Tree pruning helps to remove old or dead debris from the tree that could prevent new growth, therefore, the timing is crucial to get on target when pruning. We often recommend tree pruning once all of the leaves have fallen, meaning either before Winter or before Spring. Removing old or dying debris from the tree in between these months avoids the messy cleanup that is inevitable when the ground freezes or when it snows. The techniques used to prune your trees can ensure that your trees are not cut too short or beyond a point of healthy growth. By over-pruning your trees, they become vulnerable to stunted growth or not re-growing at all. Therefore, it is important that the right techniques and cutting angles are applied when pruning to avoid potential injury to the tree. 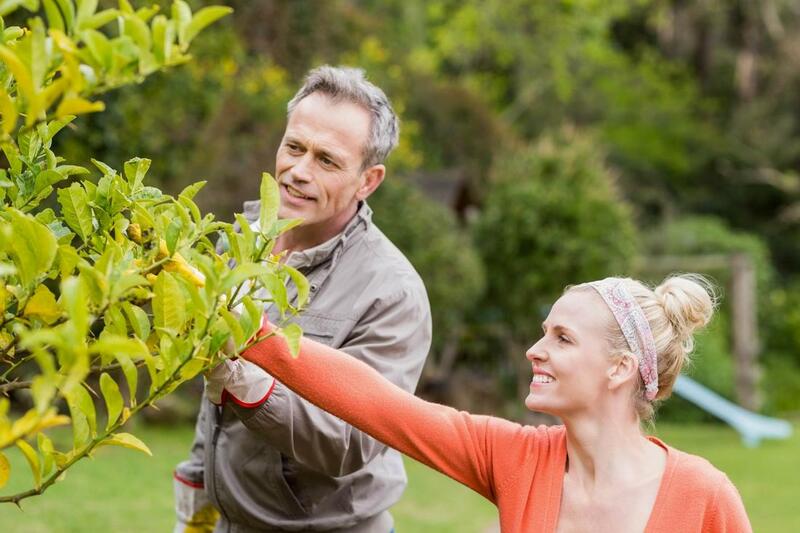 If you’re concerned about the shape or overgrowth of your trees, pruning is also a great way to help reshape them and keep their length at a manageable one.